Tuesday Trivia: What letter doesn't appear in the name of any US state? Just for fun, here's a trivia question to test your geography and spelling skills. 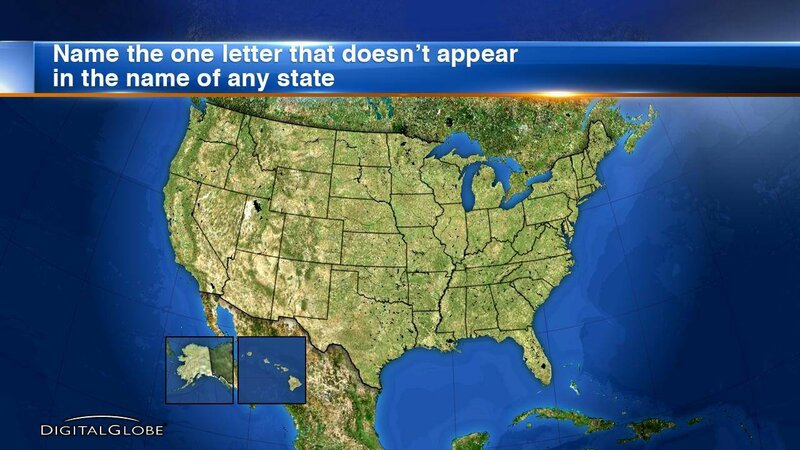 Name one letter that doesn't appear in the name of any U.S. state. It's trickier than you think! Scroll down to reveal the answer!